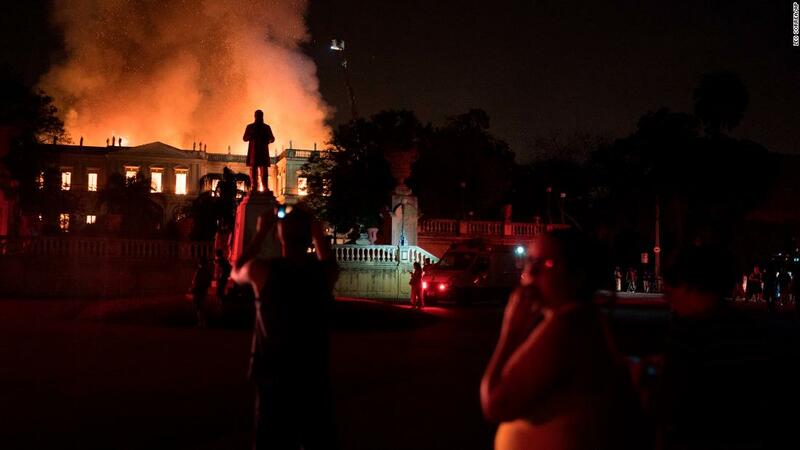 (CNN) Brazilian investigators said they don’t know what caused a fire that ripped through the National Museum, destroying perhaps millions of items and a large part of the nation’s cultural heart. A project to improve the fire system had been approved in June, and the funds were expected in October, Roberto Leher, dean of the Rio de Janeiro Federal University, told reporters Monday. Roberto Robadey, a spokesman for the fire department in Rio de Janeiro, said two fire hydrants had inadequate pressure Sunday night and firefighters had to draw water from a pond. “It’s a great tragedy Brazil is mourning, it’s a great loss for Brazil,” Culture Minister Sérgio Sá Leitão told CNN Espanol. 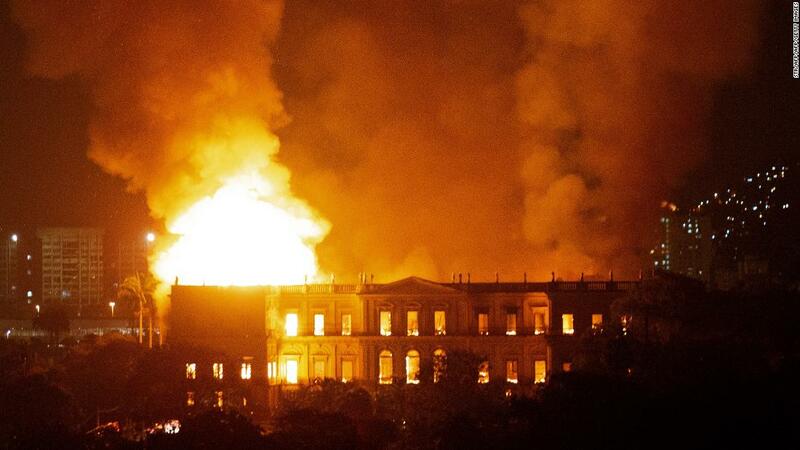 Sá Leitão said much of the loss occurred in a building once called the Imperial Palace. But other items, including a library with 500,000 volumes, were saved. The minister said some of the money budgeted for improvements at the museum had been designated to go toward modernization of the fire prevention systems. He and others lamented an insufficient budget, common in Brazil, which is recovering from a deep financial recession and lack of investment. Officials said they will focus on rebuilding the museum. “We are hoping to start an international campaign to mobilize collectors that would be willing to donate or sell their collections,” said Sá Leitão. About 15 museum employees entered the building on Monday afternoon to briefly recover items. 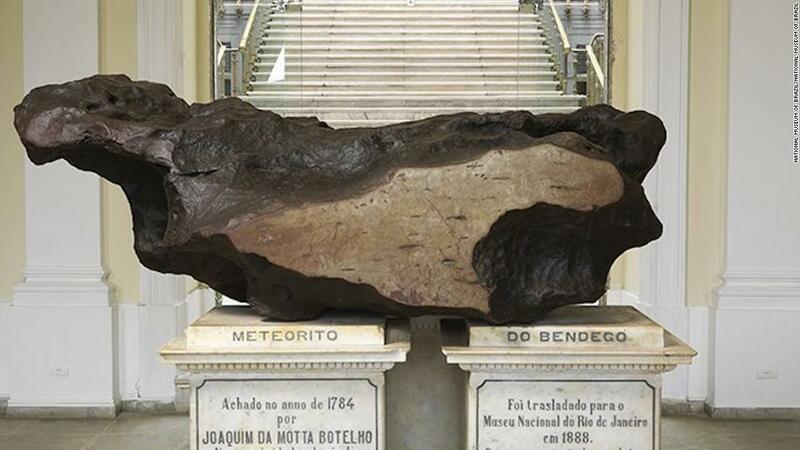 Agência Brasil said officials carefully removed remains of debris, such as lumber, shingles, and even metal beams, in the hope of finding something of historical value. The work is slow and meticulous, as many pieces may still be in a condition to recover, beneath tons of burned wood and clay tiles, the news agency reported. Priceless artifacts spanning 11,000 years went up in flames. More than 20 million pieces of history, including Egyptian mummies and historic artwork, may have been destroyed, but officials had not done an inventory. 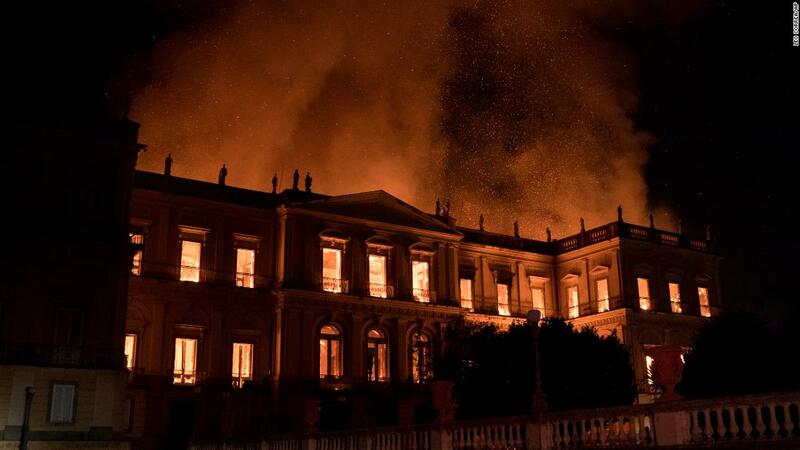 “The loss of the National Museum’s collection is insurmountable for Brazil,” President Michel Temer tweeted. No one knows what sparked the blaze around 7:30 p.m. Sunday. Firefighters worked through the night to battle the flames. Employees, researchers and academics cried as they watched flames consume the building. Marco Aurélio Caldas, who worked at the museum for nine years, was overcome by the loss. Since then, the National Museum has become Brazil’s oldest historical institution and an internationally prominent research center. The museum housed 20 million artifacts in areas such as biological anthropology, archeology, ethnology, geology, paleontology and zoology, according to its website. One of the museum’s most famous artifacts is known as “Luzia,” the skull and bones of a 25-year-old woman who died more than 11,000 years ago. 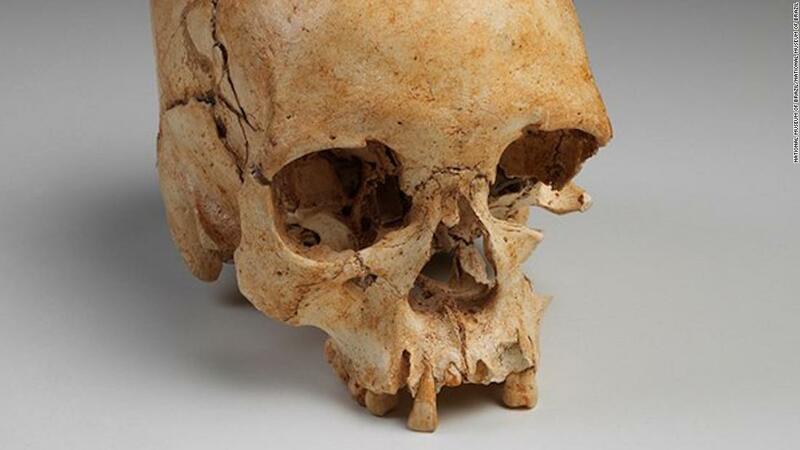 They are the oldest remains ever discovered in Brazil, the museum’s website says. The museum housed an impressive collection of ancient Egyptian artifacts, including mummies, sarcophagi, statues and stone carvings.